Becoming a teenage mother can be a scary and daunting prospect. Aside from the stigma attached to it and the societal pressures just having to look after a child at such a young age must be incredibly frightening. 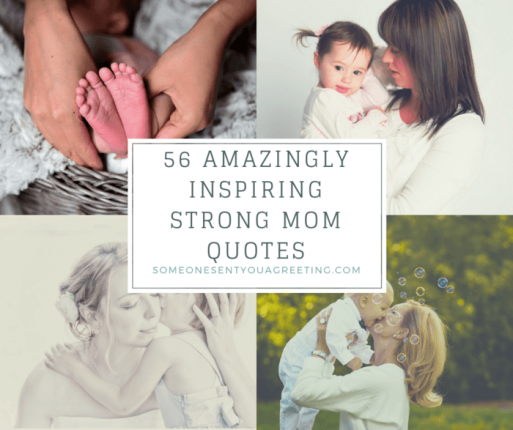 So if you know of a younger mom, or mom-to-be, offering support and kindness is definitely going to be appreciated. Encouraging rather than demonising is the way you should be treating them, and a good way to do this is through a card. You may feel they have made bad decisions or wrong choices but support and genuine love could be the perfect way to guide them to a better life. We know writing a Mother’s Day card is tough. Your mom is one of the most important people in your life. So you want to get the perfect words for your message. But knowing what to say, especially if you’re not good at this sort of thing, can be so hard. Coming up with the right phrase or words to express exactly what you’re feeling. Well thankfully we’re here to help. We’ve got a huge list of the best Mother’s Day card messages for every type of situation. Need one for your sister? Step mother? Daughter? We’ve got them all and more. 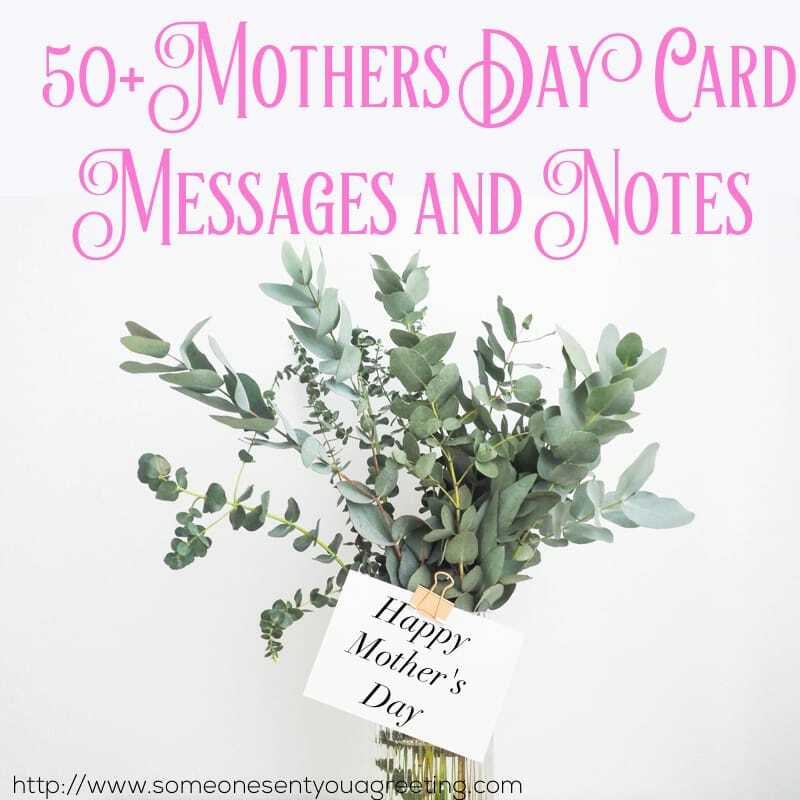 So read on and use one of our Mother’s Day messages for your card and stop worrying about what to say. I think we can all agree that mothers are amazing. What they do for us – sons, daughters, husbands and grandchildren – is just incredible. They put in so much time and effort to help and support us, enriching our lives for the better. So when Mother’s Day comes around and they get one day dedicated to them it’s not much to ask that we give them a card, is it? No! Of course not. Ah, but what should we say? 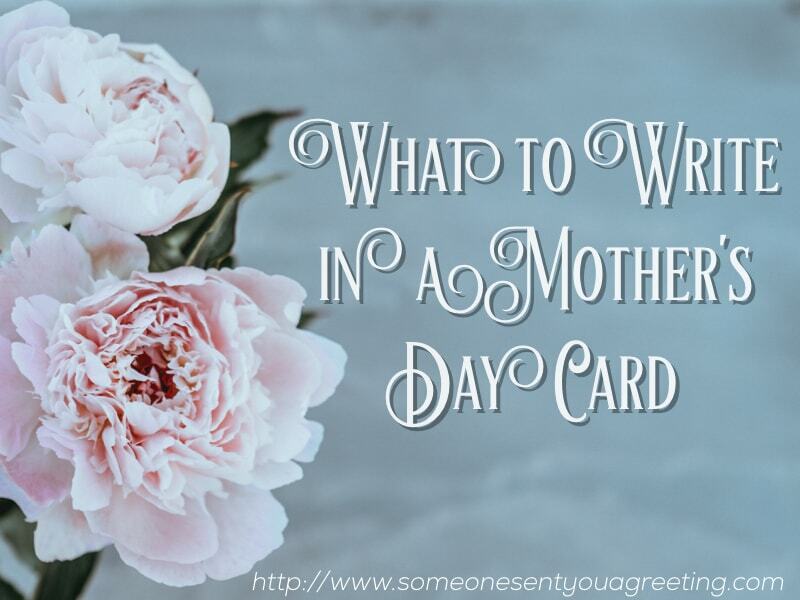 Something many have struggled with is what to write in a Mother’s Day card. 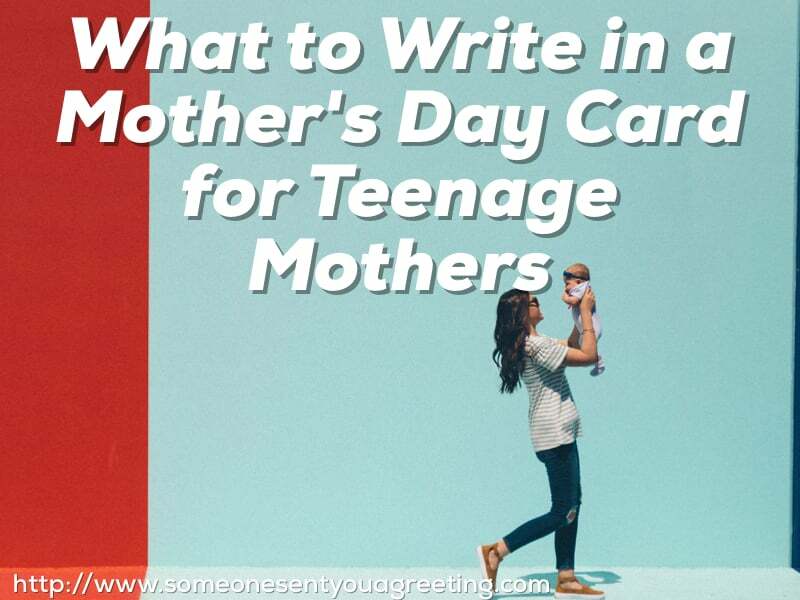 If you’re in the same position then read on as we have a brilliant selection of Mother’s Day card message examples for all different types of moms – grandmothers, stepmothers, mother-in-laws etc. We’re sure you’ll find what you’re looking for.